Christine did about her channeled readings, mediumship, angel cards, spirit guides, star begins, etc. Christine is a medium, channeler, and spiritual seeker. She studied with a spiritual teacher in New Mexico and "remembered" her connection. 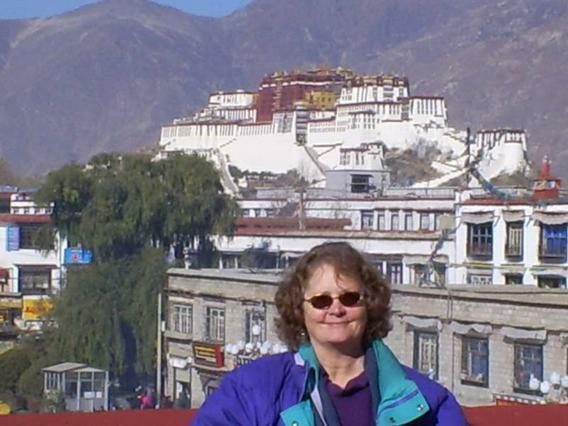 Her travels around the sacred sites in New Mexico and then journeys to India, Bangladesh, Japan, Nepal and Tibet opened up her heart and her spirit. There she received information from her spirit guides which prepared her for this journey she has undertaken. Her channeling is with spirit guides, angels and star beings that are here to help all beings upon this planet and the earth herself to grow in light and love and truth of heart. For you are all divine beings and are here to make a difference in the world. Each one can bring light and love to their lives through connecting with their inner being – their own light source. For all have it in equal abundance, only a few choose to look for it and reach within to bring it forth. Indeed there are many who are awakening to their true self and are learning that they too are one with the source of all light, all love and all knowing. Each being upon this planet has the ability to touch the Divine Source if they so choose.​ Too many times you are discouraged from looking for you feel you are not worthy or are not the “enlightened” type. There is no such thing. All are equal and all ARE enlightened. Each being is a child of the universe and as such the universe wants to give all of its love and riches to its child. You just need to reach out and accept it with gratitude. And learn that you are equal, you are great, you are loved, you are one with the source. But you must accept yourself as well. You must look within and see that you are a being of great love and light and you are beautiful and intelligent and perfect just as you are. For each upon this planet is unique – as it should be. There are none better than another. ALL are equal in the universe. Even the star beings are equal to you as you are equal to them – all is the same.​ All have the same opportunity for opening unto the love within each and to take that and reach out to those near you and beyond, and out unto the universe -- it is all ours to let the light shine upon all who wish it.​ You have taken the first step in doing a search on your computer to find “something” out there that helped you make sense of who you are and what you want to become. The world is in a historical change – all that was familiar is falling away. Those that were dark are being shown as they truly are and all are looking for a new meaning to their lives as many are forced to start anew. And think of it as such. A NEW beginning, a new life to create as you go along, a new way to deal with yourself, your family, your friends, all whom you come in contact with. As you reach out from a new perspective your life takes on a new richness, a more loving, fun, joyous, sharing of life – and it is so much more meaningful than what was before.So know that you are a being of great worth, great love within for yourself as well as others, and a being who can make a difference to this planet. We thank you for taking a step toward the new you.